As Market President of Sauk Valley Bank’s Dixon branch, Don Lovett is responsible for ensuring that all aspects of the bank’s operations are conducted in the best interest of shareholders, customers, employees, and the public. A lifelong resident of Dixon with over 30 years of experience in the local banking industry, he is proud to be part of a wonderful team of bankers who value Sauk Valley Bank’s policies, procedures and quality customer service. 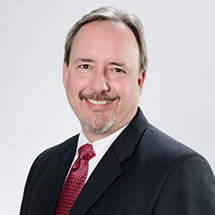 Don is an Iowa State graduate, as well as a graduate of the Illinois Bankers Agricultural Lending School and the Illinois Banker Real Estate Lending School. His interests include traveling, motorcycling and spending quality time with his wife and children.